Jacob van Campen belonged to the noblety and was a wealthy man who regarded art as a passtime. Originally a painter, he later also became an architect, although more of a designer than a craftsman. 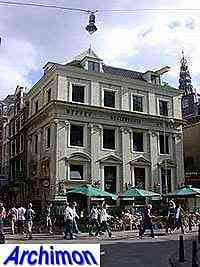 After a long stay in Italy from 1617 to 1624 he returned to the Netherlands where he combined elements of Palladian architecture and classical culture with the indigenous brick architecture, thus inventing Dutch Classicism, a style which became of some international influence as well. 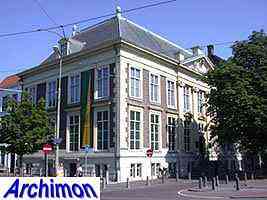 Although many churches were designed in this style (see: The first protestant churches) Van Campen only designed a few. The following is a selection of Van Campen's work. Palace for Johan Maurits van Nassau. With assistance of Pieter Post. Building for a civic guard. With assistance of Pieter Post. Centralizing church in Classical style. Ground plan in the shape of a Greek cross with short arms, with an octagonal tower with dome covering the crossing. Buttresses become thicker at the bottom, a reference to the image people had in that time of the temple of Jerusalem. 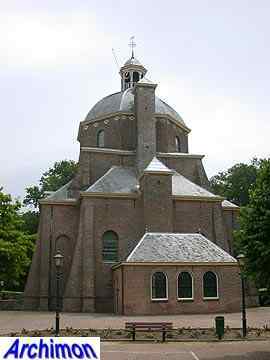 Centralizing church in Classical style, very similar to that in Renswoude but with a different roof, which was rebuilt after a fire in 1911 and is slightly different from its original shape. 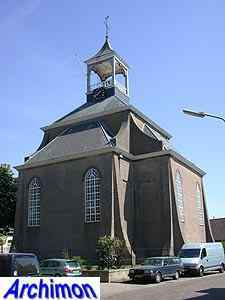 Rectangular church in Classical style, with a tower from 1613 in Renaissance style by Lieven de Key. Buttresses refer to Jerusalem's temple. 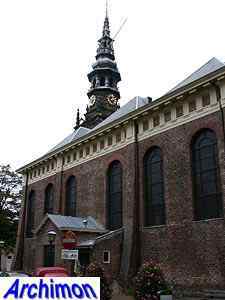 This was the first church in Haarlem specifically built for protestant services. 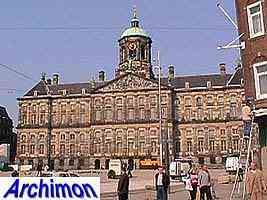 Van Campen's most famous design is this enormous town hall, the most important example of Dutch Classicism. Van Campen abandons the project in 1653, after which it is completed by Daniël Stalpaert. 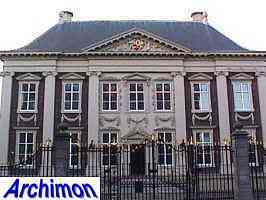 Today the building is a ceremonial royal palace.